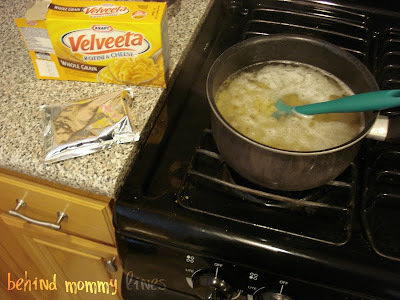 You guys, I am making boxed Mac & Cheese for dinner... again. I have completely given up as of late, all the good intentions? Gone. None of my regular recipes are jumping out of my recipe box, demanding to be made. I sit and wrangle with the grocery list every week- WHAT TO MAKE! WHAT TO MAKE! It's killing me. That, and the endless routine of spaghetti! Then tacos! Then... take-out? So, in my infinite wisdom, I am turning to the internet for solutions. You, people! You must cook things? Serve families of your own? Well, I beg of you! Shoot me an email, or comment- give me your best recipe. I may even just try them! And post them! Perhaps next week? Many thanks, from the bellies of my young 'uns... and The Husband. I have Google Doc copies of my weekly menu plans for the last year and a half (with links to the recipes). Would you be interested in those? I'm happy to send them your way if you'd like. I added edamame and soy sauce, and it was done in 15 minutes, literally. The girls didn't so much care for it, but leftovers for me, yay! You could always serve just the rice and meat for your littles, plus whatever veggie they like. Then, put the NC sauce in teh crock pot, add the pork tenderloin, add enough water to cover the meat, cook on High for 4-5 hours, check meat to see if cooked all the way through. Put meat on a plate and "pull" apart :), put back in crock pot to flavor even more or pour some fresh NC sauce over pulled meat. 2 - 6" tenderloins make about 8-10 sandwhiches...tangy, not too hot, not too sweet, you can add your favorite BBQ sauce if you want. I like to go to www.allrecipes.com. They have super easy recipes and they categorize them for you (i.e. mid-week meal, instant, 15 min, 30 min and 45 mins; Sunday roasts; potlucks; and the such). Also the website shows you what you can do with left overs and people rate and comment at the bottom. I love this website. We use it all the time. Hope this is helpful.